Genetics There are 26 products. For 32 students. Reusable. 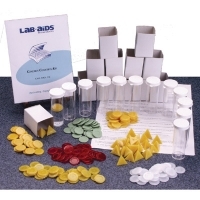 This kit simulates selective breeding for specific traits in crops such as corn. Corn kernel color and sweetness are investigated using Punnett squares to gain an understanding of the scientific concepts of genotype, phenotype and inheritance. 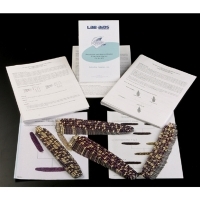 Kit includes: 16 each of 4 types of "corn"; 2 color transparencies; 32 student worksheets; 32 handouts on crop breeding; instructions. Grades 7 - 12. Reusable. 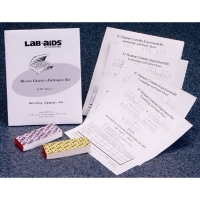 Investigate the Mendelian Laws of genetics by simulating genetic crosses using factors for single gene inheritance along with two other factors. 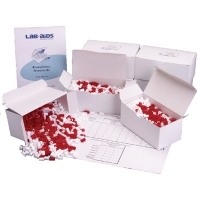 Record experimental crosses of phenotype and genotype ratios and compare these with expected mathematical ratios. 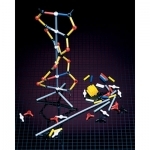 Dna Model Kit (12 Packets). Grades 7 - 12. Reusable. Construct a segment of DNA involving adenine, thymine, cytosine and guanine using our color-coded pieces. 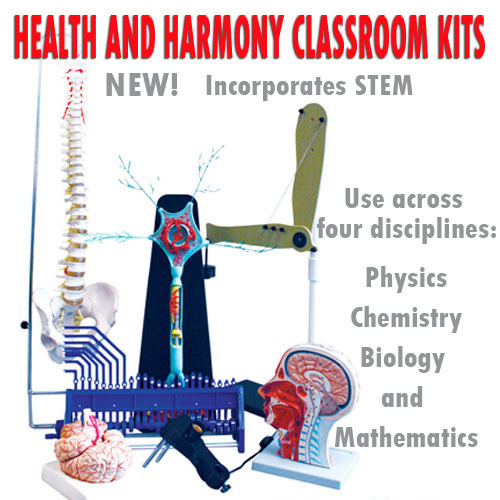 Kit includes: 12 packs of model parts, each sufficient to construct a segment of 6-paired bases, reproducible student worksheets and instructions. 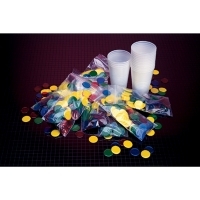 Single packets also available.